Big John set the industry standard for commercial charcoal grills when we introduced this one 54 years ago. This 2’ x 5’ has been our #1 selling charcoal grill ever since. Formerly green in color, a few originals can still be found in use. 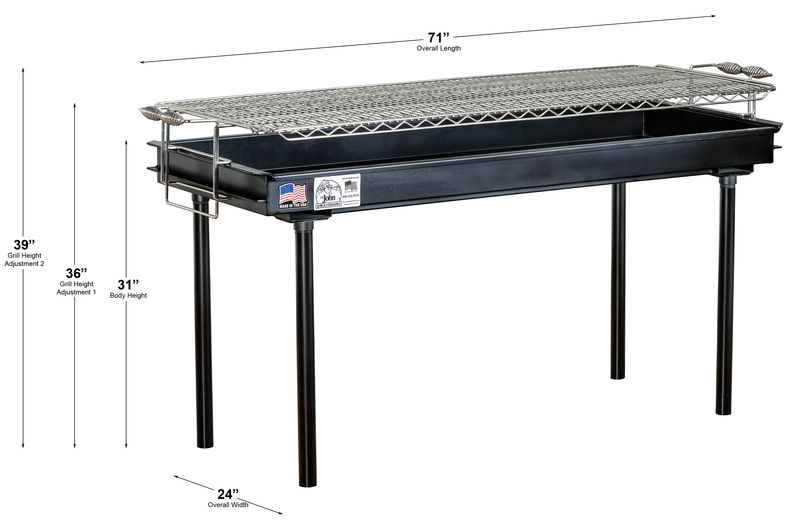 10 square feet of cooking space and an adjustable nickel-plated steel grill grate help to feed a crowd quickly and efficiently while maintaining the authentic smoky barbeque flavor we all love. Add a handful of our smoking pellets to elevate flavor even more. • Total grill weight as pictured is 140 lbs. 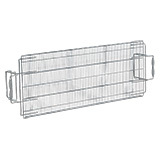 • Shipment Dimensions: 77”L x 28”W x 17”H = 21.21 cubic feet, shipping weight is 174 lbs. The firebox of our charcoal grills is manufacturing using 14 gauge carbon steel with a 1000° high-temperature baked on powder coat finish. Two carbon steel reinforcement panels are welded to the underside of the firebox for an additional layer of support. We chose to use 1000° high-temperature powder coat finish instead of paint because it is designed specifically to withstand high heat and is more durable and uniform in application than paint. Our charcoal grill tops are the best in the industry. 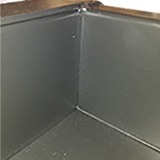 Our one piece, easy-to-clean grill top is constructed with a welded steel core for strength and nickel plating for increased durability. 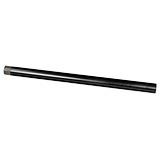 We use a combination of 2 and 10 gauge wire rods closely spaced running front to back for easy spatula use. Stay cool handles and the simple slide action height adjustments allow for easy height adjustment even when the grill is hot. Choose the 6”, 10” or 13” height setting to accommodate any cooking style.